Born in Yalgoo on 9 September 1952, Bishop-Elect Morrissey was educated at Aquinas College, Perth. He continued his studies at St Charles Seminary in Perth and at St Francis Xavier Seminary, Adelaide. He was ordained a priest on 31 January 1981 in St Francis Xavier Cathedral, Geraldton. From 1981 to 1984, he worked as Assistant Priest in the Parishes of Bluff Point and Port Hedland. He served as Administrator in the Parishes of Bluff Point, Port Hedland and South Hedland between 1984 and 1985. 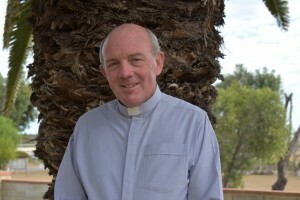 The 64 year old bishop-elect was appointed Parish Priest of Karratha in 1985 until 1992 when he became Administrator of the Cathedral in Geraldton until 2007. He held this role again from April 2014 until today. Bishop-Elect Morrissey was appointed Chancellor of the Diocese in 1994 for nine years and his mission was renewed in 2006 until the present day. In 2007, he was also nominated Vicar General of Geraldton. He has been a long standing member of the College of Consultors, from 1991 to present, and the Presbyteral Council, 1983-1998, 2003-present, which he chaired between 1994 and 1996 and between 2004 and 2006. Since 1983, he has been Senior Chaplain of the Army Reserve Second Division. In 2015, Bishop-Elect Morrissey was appointed as Parish Priest Representative to the Board of the Catholic Education Commission of Western Australia. Spending time in the garden, swimming in the pool, walking and playing golf are amongst his hobbies. Today, Pope Francis also accepted the resignation of Bishop Justin Bianchini who has been Bishop of Geraldton since March 1992. 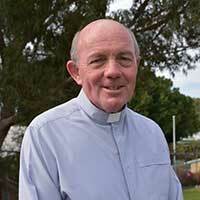 He has been appointed the Apostolic Administrator of the Diocese until the new bishop is ordained on Wednesday, 28 June 2017 in Geraldton.